• All grades are assigned to specific doors. While we understand that if may not be the closest door to home, we also know that it takes the average student less than a minute to walk around the school to the appropriate door. The only exception to this rule would be students who are medically unable to walk for a minute. Please help us by insisting your child use the correct door. • Our youngest students come in the front doors. All other students are assigned other doors. • In cold weather, the regular grade entrance doors are opened at 7:45. These doors are locked at 8:45 and tardy students expected to come through the front door. • All school doors except for the front doors are locked during the day. Parents are expected to come through the main door and check in at the office before proceeding. Supervision begins outside at 7:55 am. Students should not arrive at school before this time and should not come into the school until the first bell. Teachers use this time in the morning to prepare for their day. Thank you for respecting this planning time for teachers. • Children must use the playground equipment in an appropriate manner. • Wheeled toys must not be used on the playground. Bicycles should be parked and locked on the bicycle racks, scooters or skateboards carried and rollerblades switched for shoes. • Students must dress in a manner that is respectful for an EEP-Gr. 6 Catholic School. Spaghetti straps, tube tops, skimpy skirts or shorts, inappropriate language, hats or revealing undergarments will not be tolerated. • Children need to dress for the weather. All children are expected to go outside at temperatures warmer than –20 Celsius. • All students need clean indoor shoes. We encourage all students to bring one item for a healthy snack in the morning. Classes take an opportunity during recess for students to have a nutritional break. Students are expected to be able to eat on their own in their classroom. Division One classrooms have older students come and assist students who may have difficulties with their lunches. A staff member checks in on classes regularly. While microwaves are available in all classrooms, adults are not available at this time. It is suggested that non-microwavable lunches be sent for students in grades 1-3. Thursdays are hot lunch days. Forms are sent home with students and can be returned to the school if you wish for your child to participate. The St Anne Parent Council organizes hot lunch days. Volunteers are always welcome. We have students with peanut allergies in our school. We ask all students to bring food that does not contain nuts or nut products. All medication must be stored in the office. Absolutely no medication can be given to students without a signed parental permission form. Under no circumstances should students be sharing medication with other students. • In the event of an emergency, all staff are familiar with a Lockdown procedure. These procedures are practiced during the school year. If a student is involved in a mishap, we ensure that basic first aid is applied. If the accident is serious, we will call 911. A staff member will accompany the child in the ambulance. Parents will be contacted in the case of serious accidents or a head injury. • All trips off school property require a permission form. If your child does not return the form, they will not be able to attend the activity and will be placed in an appropriate classroom. Please check the agenda daily and ask about forms. We thank parents for their support. Parents are the best examples for their children. If they bring their children to the correct door, if they take their hats off in the hallway, if they stand respectfully during our Morning Prayer and our National Anthem, if they use our crosswalk, and if they encourage their children to follow the rules, it makes our job much easier! We welcome parents to be involved in their child’s education and will make every effort to meet with you when it is convenient for you to meet. Please give the teacher opportunity to prepare for the meeting by making advance appointments. Please call the teacher or write a note in your child’s agenda and arrangements will be made at the earliest opportunity. We welcome appointments at any time but especially like to see parents during our two scheduled times in November and March. Please call in to the school if your child is unexpectedly sick. If you know in advance that your child will be away, please inform the classroom teacher with a note in the agenda. To ensure the safety of every child, we phone home when a child is absent without excuse. 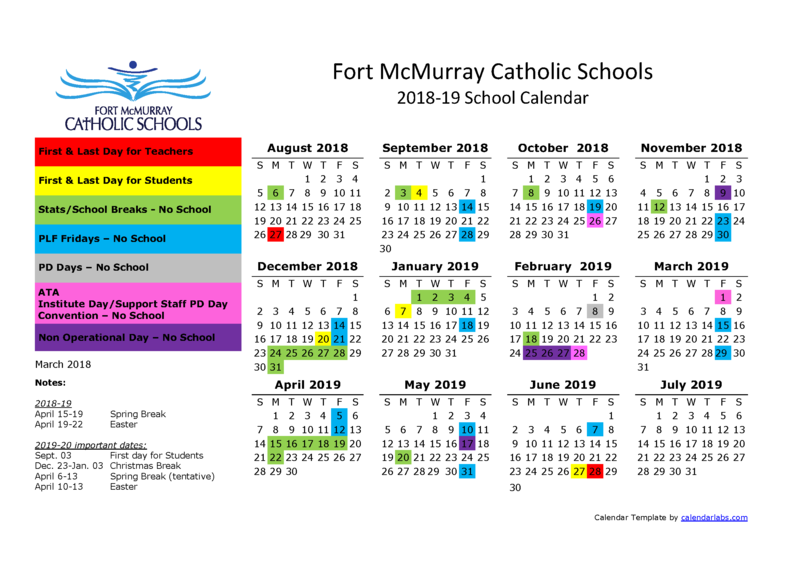 As part of a Catholic school, your child will have many opportunities to learn about the kingdom of God, as well as to participate in Catholic celebrations. We recognize that many of our children are non-Catholic, but all students participate in all religious activities within our school. Only Catholic children and their families prepare for the sacraments. Our parish priest comes in to the school a number of times during the year. As well, we have regular liturgies, daily Morning Prayer and lunchtime prayer. All students participate in weekly religion classes.